Now you can setup your command line, set all of the settings to your liking and remember to tick the boxes on the far left to save that line. Once done, save the command line and select it on the far right. Password: This is the RCON password you entered into the command line manager. Once you have entered all the information, save your settings and then select the Connect button in the bottom right corner of the screen. That's it! 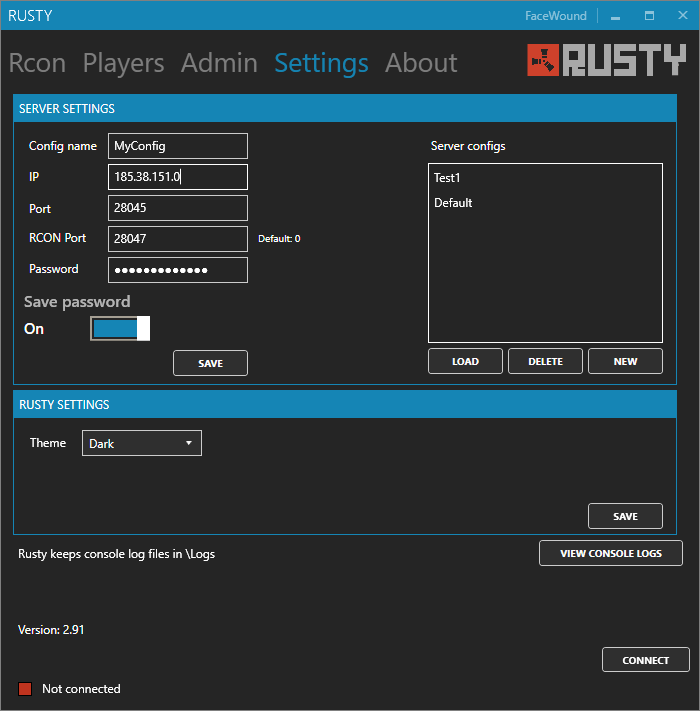 You should now be able to run RCON commands, carry out admin tasks and abilities as well as remotely manage players.